The commissioning of the first Scorpene Class Submarine ‘INS KALVARI’ into the Indian Navy added another feather in MDL’s cap. Hon’ble Prime Minister, Shri Narendra Modi commissioned the submarine at Naval Dockyard, Mumbai today, on 08 Dec 2017. 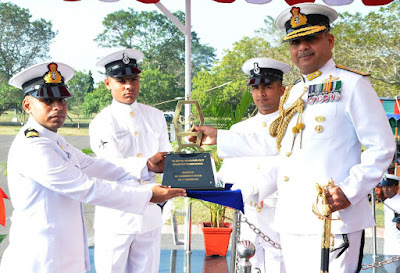 Commissioning of INS Kalvari reaffirms the giant strides taken by Mazagon Dock Shipbuilders Ltd (MDL) in the ongoing ‘Make In India’ programme, which is being actively implemented by the Department of Defence Production (MoD). 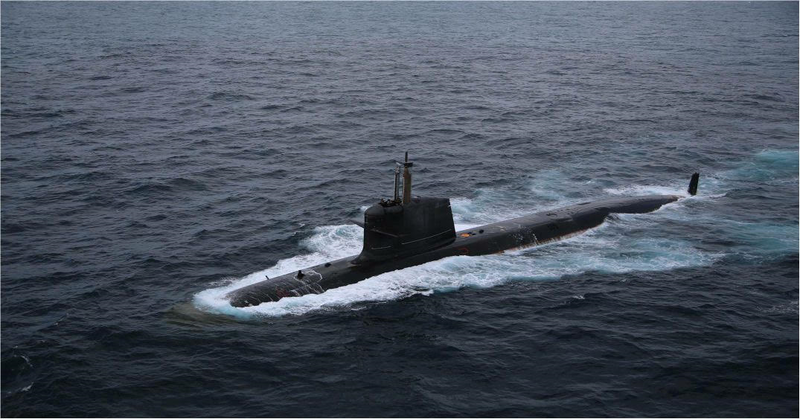 MDL is constructing six Scorpene class submarines with Tehcnology Transfer from M/s Naval Group (Formerly known as DCNS) of France. 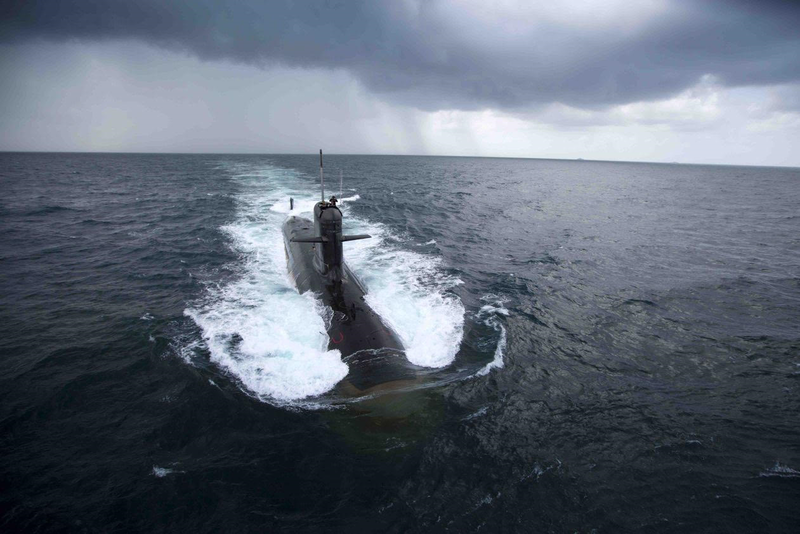 Speaking on the occasion, Cmde Rakesh Anand, Chairman and Managing Director stated that the induction of Kalvari into the Indian Navy, would be a game changer in the field of underwater warfare due to its superiority in all operational aspects. He also highlighted the aspect pertaining to completion of all weapon firings prior commissioning of the Submarine, which indeed was a unique achievement. 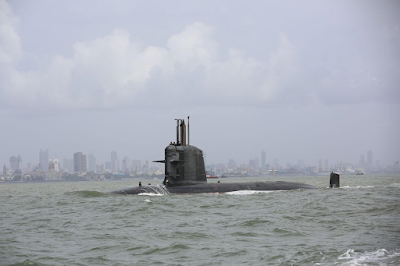 The state-of-the-art technology utilised in the Scorpene has ensured superior stealth features such as advanced acoustic silencing techniques, low radiated noise levels, hydro-dynamically optimised shape and the ability to launch a crippling attack on the enemy using precision guided weapons. The attack can be launched with both torpedoes and tube launched anti-ship missiles, whilst underwater or on surface. The stealth of this potent platform is enhanced by the special attention given to various signatures. These stealth features give it invulnerability, unmatched by most submarines. 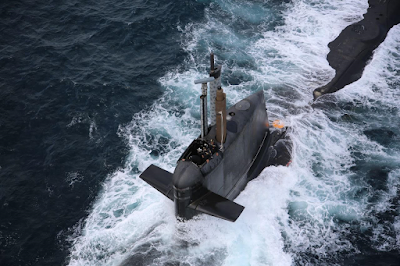 Building of the Scorpene was indeed a challenge as the complexity of the simplest of tasks increased exponentially due to all work having to be done in the most congested of spaces. This complexity was further aggravated due to the stringent tolerances required to be achieved. However, these challenges were successfully overcome by MDL, without any compromise in Quality. 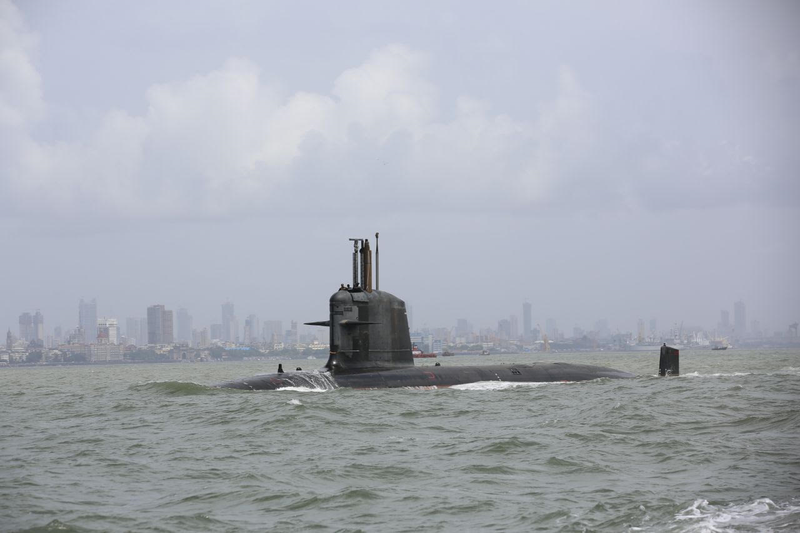 The second of the Scorpenes under construction at MDL, Khanderi, was launched in January 2017, and is currently undergoing the rigorous phase of sea trials. The third Scorpene, Karanj, is being readied for launch shortly. The balance three submarines are in various stages of outfitting. The project is expected to be completed by 2020. Kalvari is named after the dreaded Tiger Shark, a deadly deep sea predator of the Indian Ocean. 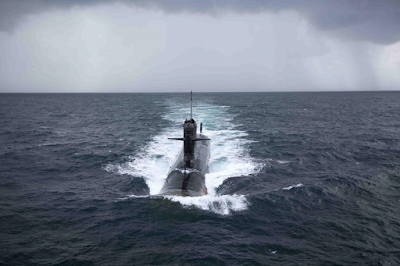 As is the tradition, ships and submarines of the Navy, are re-incarnated after decommissioning. So it is with Kalvari. 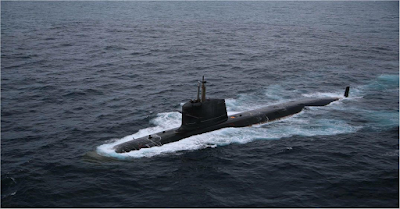 The first Kalvari, commissioned on 08 December 1967, was also the first submarine of the Indian Navy. 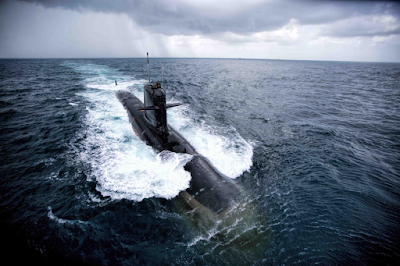 She was decommissioned on 31 May 1996 after almost 30 years of yeoman service to the nation. 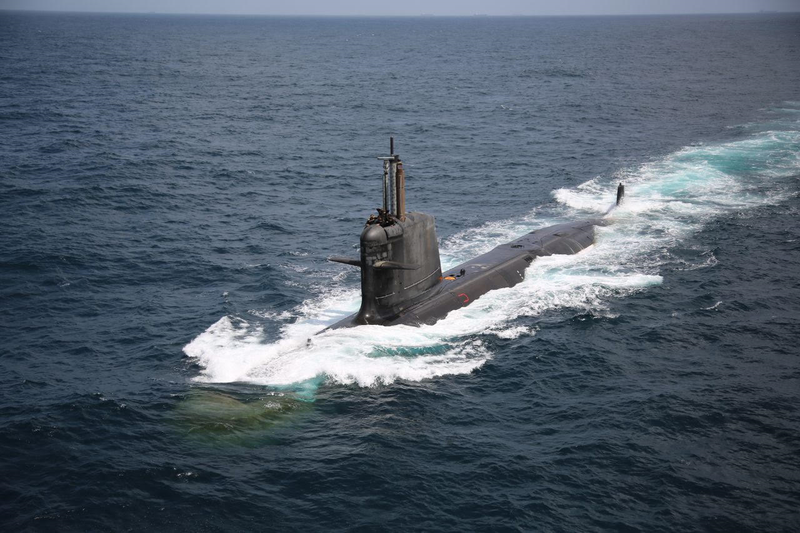 The experience and expertise that MDL has gained from the Scorpene project together with enhanced and upgraded infrastructure has ensured that the Shipyard is fully geared for undertaking construction of the next generation submarines. 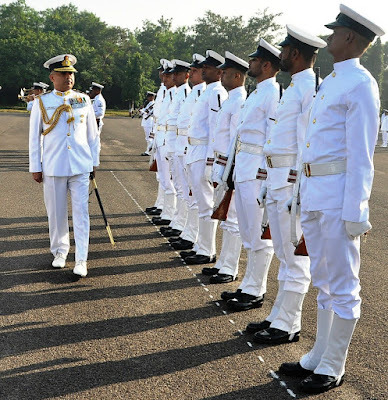 89th Helicopter conversion course, in which 8 Indian naval & 1 Bangladesh naval pilot were accorded Wings. 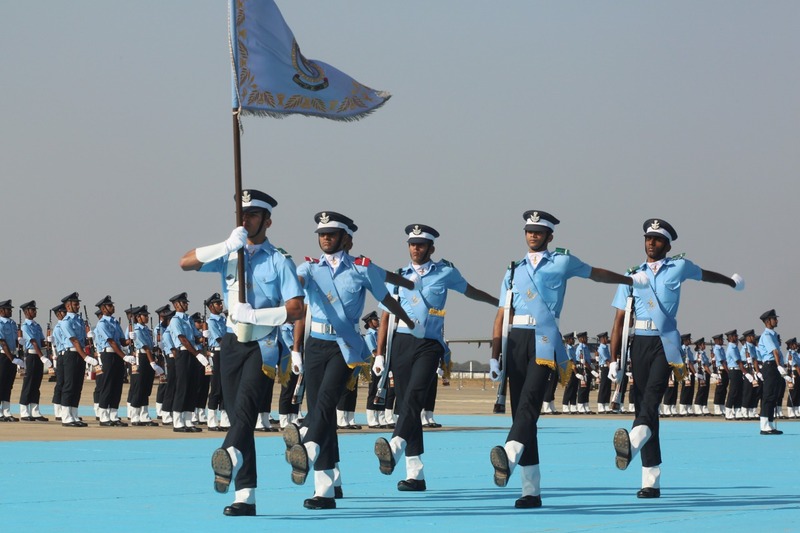 The Combined Graduation Parade of Pilots and Ground Duty Officers was held today at Air Force Academy (AFA), Dundigal near Hyderabad. 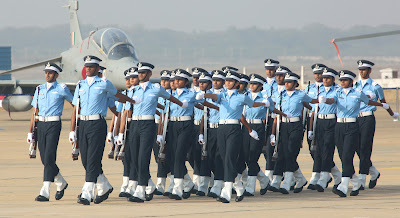 The event marked the momentous occasion of passing out of 105 Flight Cadets as Flying Officers of the Indian Air Force. These young officers, include two women Fighter Pilots out of total 15 women officers, to join the elite cadre of Air Force Officers. This occasion also marks the passing out of 200th course of Indian Air Force officers, a long way forward since the humble beginning of the training of Indian trainees at Royal Air Force College, Cranwell in Oct 1931. 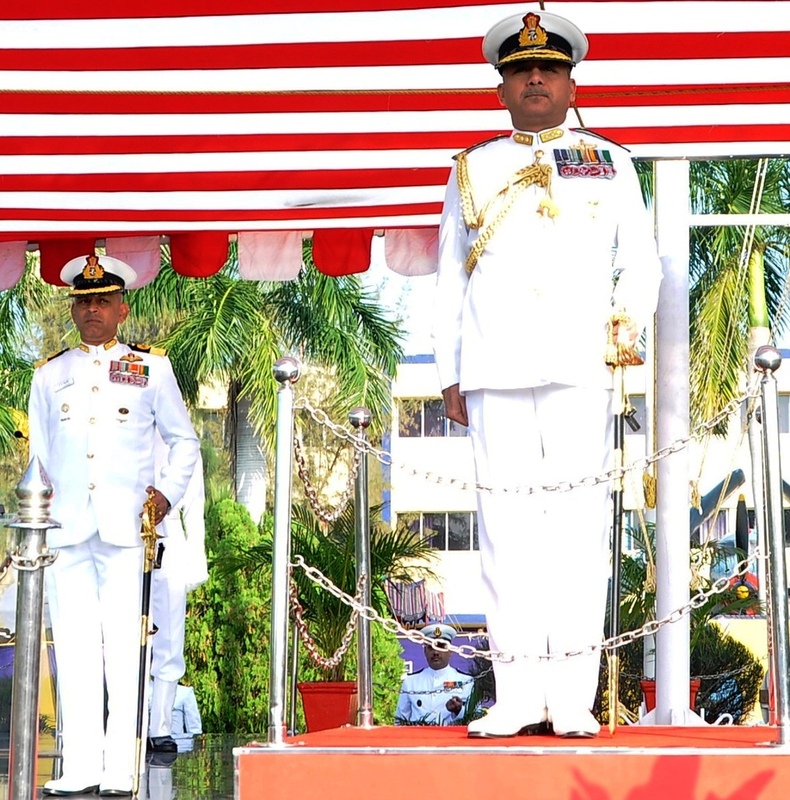 Admiral Sunil Lanba, Chief of the Naval Staff was the Chief Guest of the parade. 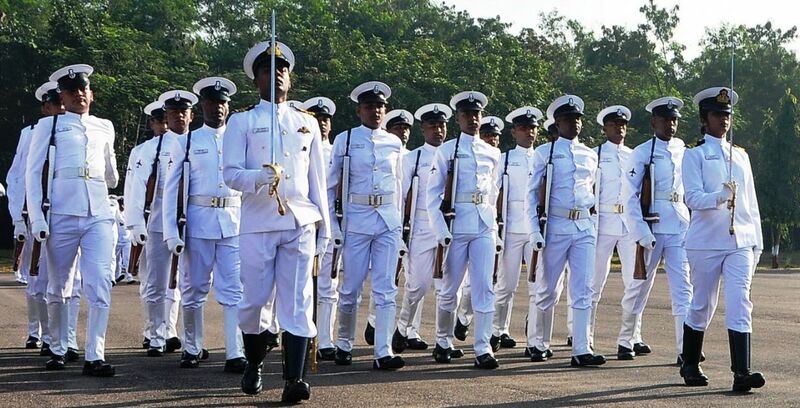 As the Reviewing Officer of the parade, he conferred the ‘President’s Commission’ to the graduating Flight Cadets who successfully completed their basic and professional training. Also present on the occasion was Air Marshal SRK Nair, Air Officer Commanding-in-Chief (AOC-in-C) Training Command, Indian Air Force. During the parade 14 officers of Indian Navy and Coast Guard were also awarded their ‘Flying Brevets’. 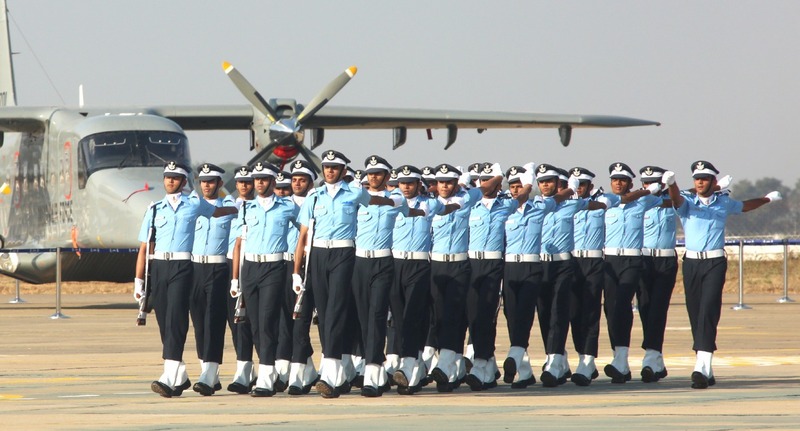 IAF routinely trains members of other services and para-military forces in basic aviation and related courses at Air Force Academy, Dundigal. The day’s events started with a display by the Skydiving team of Indian Air Force ‘Akash Ganga’, followed by spectacular synchronized movement of ‘Air Warrior Drill Team’ of the Indian Air Force. The parade started with General Salute to the Reviewing officer. The ceremonial review by the ‘Reviewing Officer’ was followed by an impressive march past. The high point of the parade was the commissioning ceremony in which the graduating cadets were awarded ranks by the Chief of the Naval Staff, Air Officer Commanding-in-Chief Training Command and Commandant Air Force Academy. 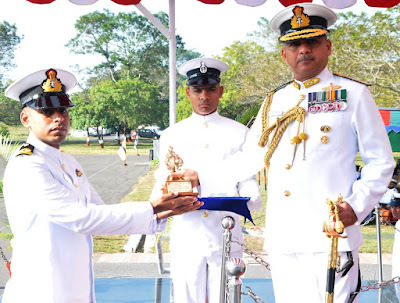 After the commissioning, Admiral Sunil Lanba awarded the most prestigious award of the academy, ‘Chief of Air Staff Sword of Honour’ and President’s Plaque for standing first in overall merit in Pilots’ Course to Flying Officer Karan Pal Singh. He also awarded President’s Plaque to Flying Officer Vishnu Vishal and Flying Officer Mohit Kumar for being first in overall merit in Navigation and Ground Duty branches respectively. The Parade, in its full grandeur marked with impeccably turned-out cadets and their perfectly synchronized drill movements demonstrating conviction and commitment, was witnessed by a large gathering of military and civil dignitaries along with proud family members and friends of the graduating Flight Cadets. Later addressing the Parade, the Reviewing Officer complimented the newly Commissioned ‘Flying Officers’ for the exceptional standard of parade. 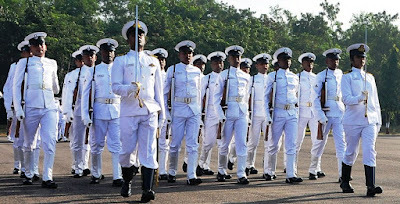 Congratulating the passing-out cadets, the Chief of the Naval Staff said “It is a matter of great honour to review the Combined Graduation Parade of flight cadets and witness these fine men and women joining the Indian Air Force as future Military leaders and Aviators”. 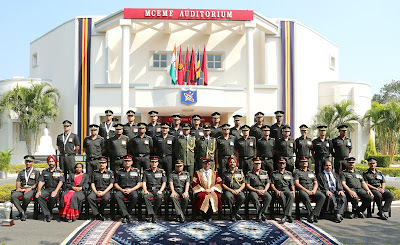 He emphasised in his address, the importance of core values of a military leader i.e. integrity, courage, honesty, and selfless service to the nation. He reminded that there can be nothing more satisfying than participating in the defence of one’s nation. 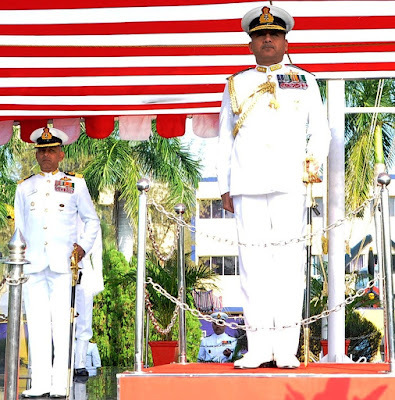 He exhorted the young officers to carry forward the espoused legacy and the core values of Indian Air Force namely, ‘Mission, Integrity and Excellence’, in every walk of life. 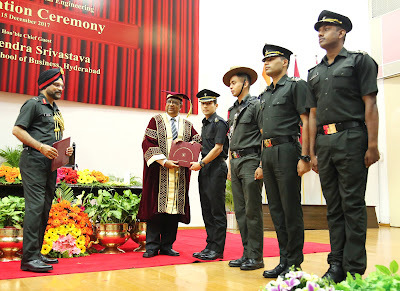 The newly commissioned officers were administered oath by the Commandant of the Academy. The grand Graduation Parade culminated with a well synchronized display by the PC-7 MK II (the aircraft currently used in AFA to train greenhorn pilots), Kiran, Hawk aircraft and the Sarang Helicopter team and breathtaking aerobatics by the full-member Suryakiran Formation Aerobatic team, enthralling the audience. Later the newly Commissioned Officers marched-out from behind the Fort wall, especially erected for the parade, in slow march to the poignant notes of ‘Auld Lang Syne’ acknowledging the first salute given to them by their immediate juniors. 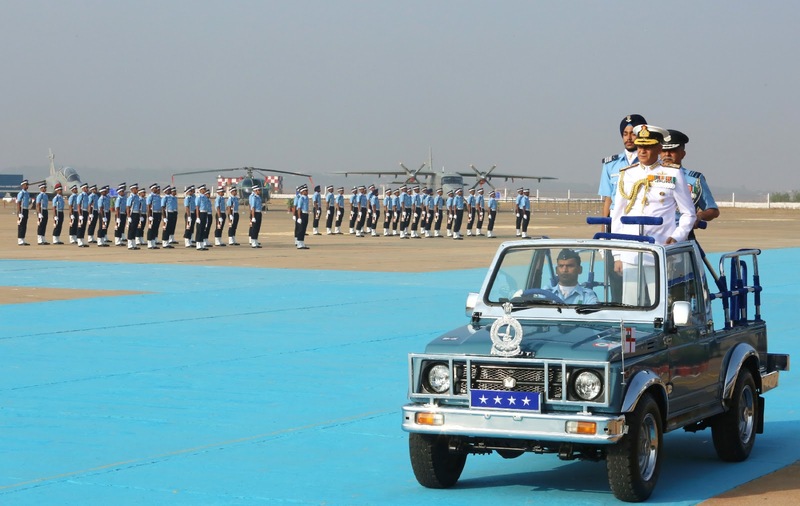 The parade was conducted on the martial tunes played by No 3 Air Force Band. They marched in absolute synchrony and with purposeful strides as they saluted the Reviewing Officer and crossed through the portals of their Alma mater to take-on their future assignments and challenges to “Touch the Sky with Glory”. 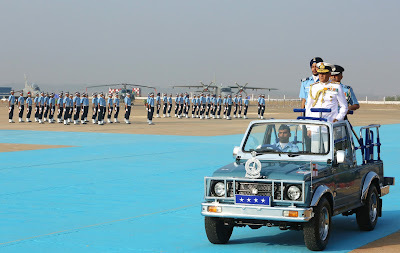 The Combined Graduation Parade marks the culmination of rigorous training schedule of one year and heralds the entry of another generation of officers in the Indian Air Force. 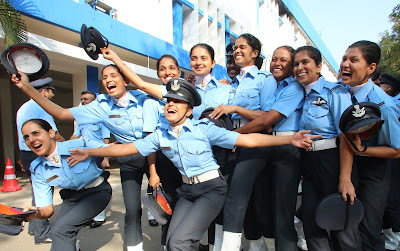 The Flight Cadets undergo professional and advanced training at various institutions besides Air Force Academy, viz., Air Force Stations Hakimpet, Begumpet, Yelahanka, and Air Force Administrative College (Coimbatore) as per their specialisation and finally pass-out together from the portals of the majestic “Sekhon” Block of Air Force Academy. The Air Force Academy (AFA), Dundigal is the premier training establishment which transforms the raw recruits, known as “flight cadets” during their training at Air Force Academy, into elite cadre of officers for the Indian Air Force. The Air Force Academy as the ‘Cradle of Inspired Leadership’, imparts specialist training to the new entrants who are selected after a rigorous selection process at the Services Selection Boards (SSBs) to enable them to acquire the requisite knowledge and skills in various aspects of aerospace power and its application in each of their respective streams – that is Flying, Navigation, Engineering and other Ground duty branches. An intensive training regimen is followed at Air Force Academy to instil qualities of military leadership and the core values of the Indian Air Force. 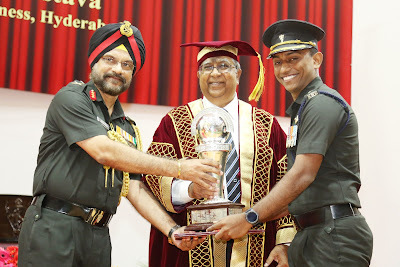 Truly exemplifying the Academy motto, ‘Shram Se Siddhi’ meaning ‘Achievement through Diligence’, the young men and women, transform into worthy Air Warriors of the highest professional, intellectual, physical and moral calibre dedicated to a lifetime of service to protect the sovereignty and integrity of the Nation. The Flight Cadet of the Flying Branch standing first in the order of merit will be awarded with the ‘Sword of Honour’ for his accomplishment and will have the privilege of commanding the ‘Graduation Parade’, besides receiving the President’s Plaque. 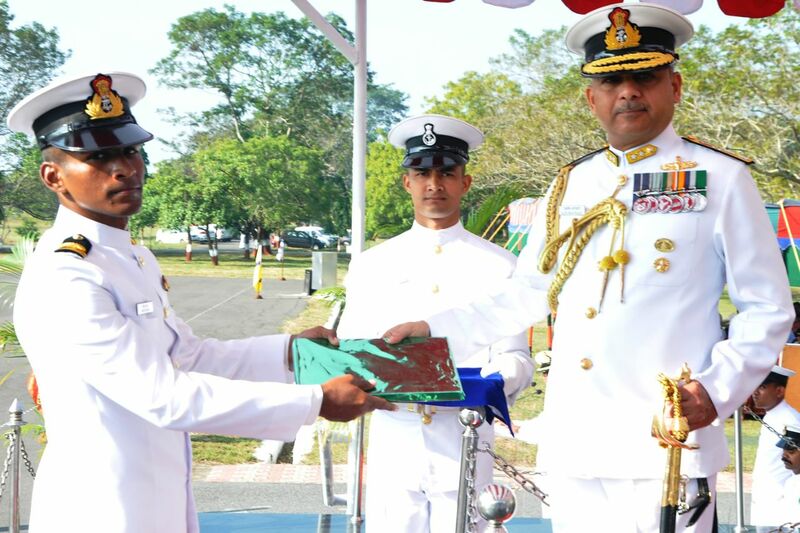 The Reviewing Officer will also present the President’s Plaque to the toppers (first in Overall Merit) in the ‘Navigation’ and ‘Ground Duty’ Branches of the passing out Course. On the eve of the Graduation Parade, the Reviewing Officer will attend the ceremonial Guest Night and interact with graduating Flight Cadets and their parents. During this event, he will award trophies to the Flight Cadets who have excelled in their respective streams. 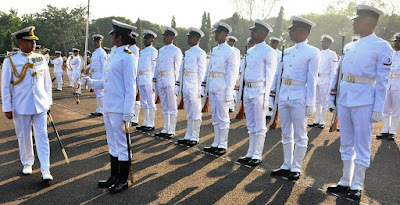 The Pre-Commissioning training at Air Force Academy for various branches such as Flying, Navigation, Administration, Logistics, Accounts, Education and Meteorology commences in January and July every year, and culminates with the ‘Combined Graduation Parade’ in December and June respectively. It is at Air Force Academy where the raw civilian recruits are transformed into competent Air Warriors to manage the aerospace of the nation and shoulder the responsibility as future leaders in their respective sphere of operations of the Indian Air Force. It would be another landmark in the history of Indian Air Force when the 200 th Course of officers pass out from the portals of Air Force Academy, located in the outskirts of Hyderabad, on 16 December 2017 (Saturday). True to its motto, ‘Excellence through Diligence’, the Air Force Academy has been producing military leaders to safeguard the aerospace resources of the nation ever since its inception in the year 1971. The successful completion of the 200 th course is a testimony to the highest order of professional training imparted here to transform civilian men and women into a cohesive force to provide leadership at various fronts in the Indian Air Force. Here is an account of a trip down the memory lane of various moments of Flying, Technical and Ground duty training in the history of Indian Air Force. Six Indians namely HC Sircar, S Mukherjee, AB Awan, Bhupinder Singh, Amarjeet Singh and TN Tandonwere selected by the Federal Public Commission for a two year flying course at Cranwell, Royal Air Force College and proceeded to England in September 1930. After the first batch of flying training between 1930 and 1932, till 1939 Indian pilots continued to be trained at United Kingdom. But soon it became impossible for Indians to go to United Kingdom for training. Therefore the first Flying Training School was setup by improvising an existing Royal Air Force squadron based at Risalpur, where both initial and advanced training were conducted. In the meanwhile No.1 Initial Training wing (ITW) was formed at Walton Lahore in 1940 for training Indian Air Force officer cadets in discipline, drill, physical activities and elementary ground subjects. Simultaneously a School of Technical Training was set up at Ambala in 1940 to train technical personnel. In 1942, No. 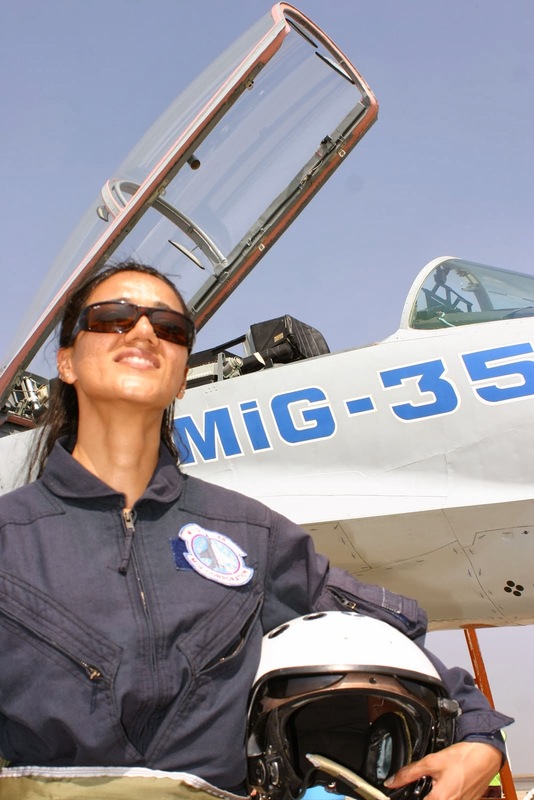 1 & 2 Elementary Flying Schools were established at Begumpet, (Hyderabad) and Jodhpur respectively for providing elementary flying and ground training to Indian Air Force officer cadets. For carrying out intermediate and advanced flying training, ‘No.1 Service Flying Training School’ was established at Ambala. In the meanwhile, No.1 Initial Training wing which was formed at Walton in 1940 was shifted to Pune in 1943 and thereafter in Jul 1946 to Coimbatore which later on came to be known as ‘Air Force Administrative College’. It continued to train Ground Duty officers till their training also shifted to ‘Air Force Academy’ in 1974. As regard to Flying training, after independence two Air Force Academies were established; one at Ambala training on Tiger Moth aircraft and another one at Jodhpur training on Harvard aircraft. 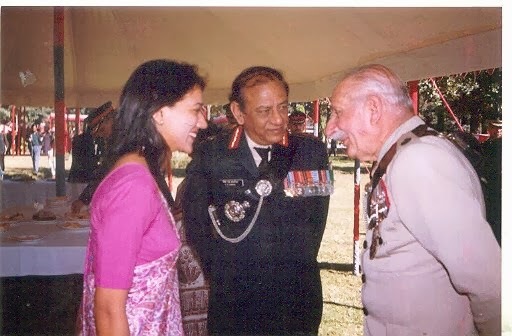 Subsequently, No.1 Academy was closed and No.2 Academy became Air Force Flying College at Jodhpur, imparting flying training on HT-2 and Harvard aircraft here. 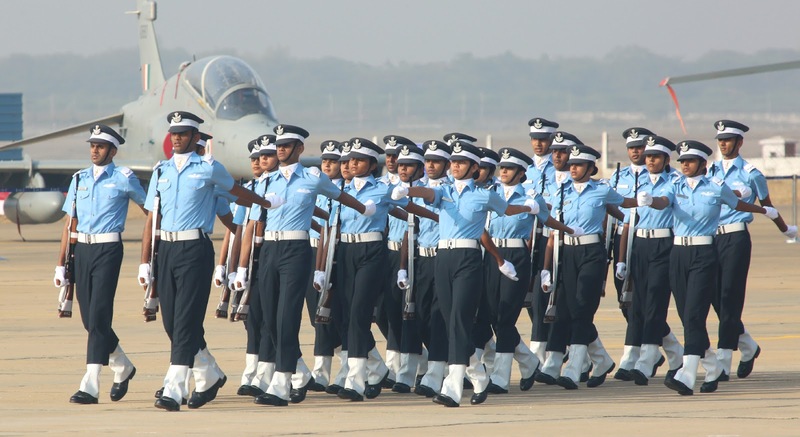 With the gradual expansion of Indian Air Force, a need was felt to establish a permanent Air Force Academy (AFA) not only for training Pilots but also training Ground Duty Officers under one roof. For this about 6700 acres of land was acquired North-West of Hyderabad from Government of Andhra Pradesh. 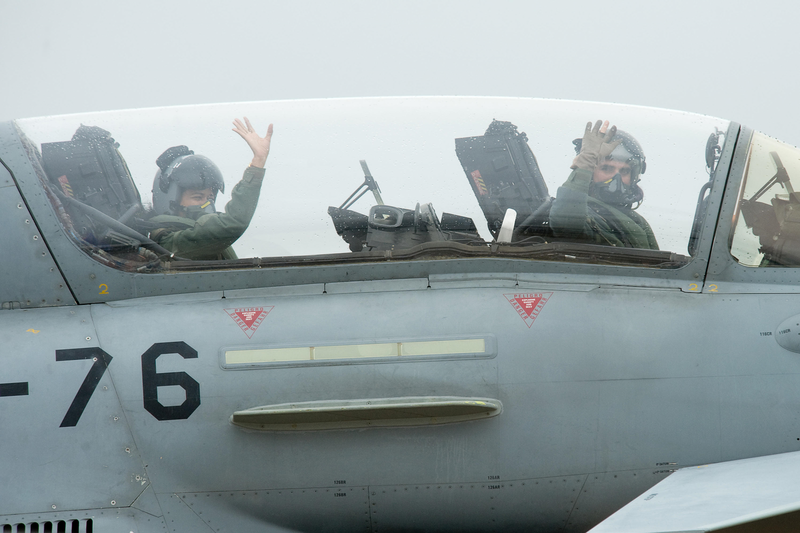 This location was chosen as weather here was found conducive for flying training during major portion of the year. 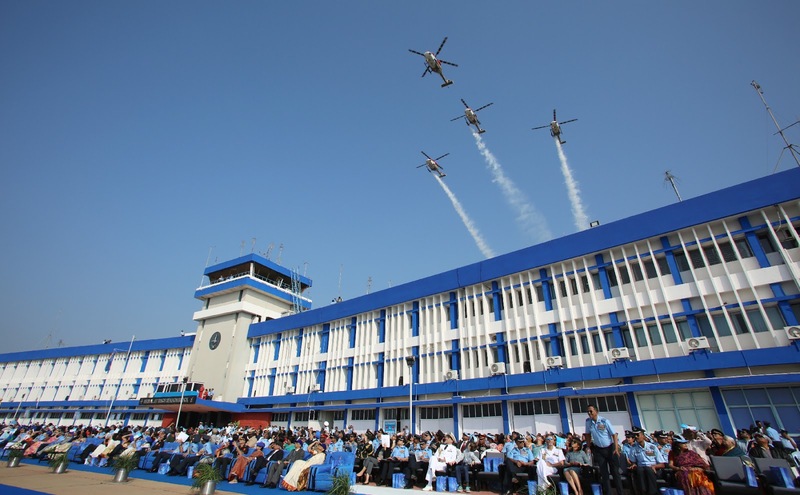 The foundation stone for the new Air Force Academy was laid by Dr Zakir Hussain, the then President of India on 11 October 1967.It is not out of place to mention here that Air Force Academy was the result of vision of bringing most of ab initio officer training of all branches under one roof. 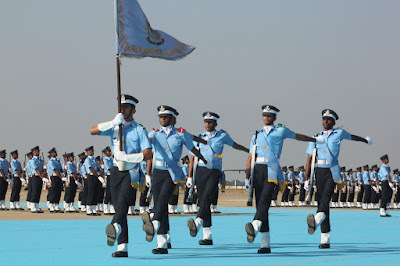 Air Force Flying College Jodhpur was moved to the Air Force Academy, by end of 1970 and on 16 Jan 1971 it was formally inaugurated by the Chief Minister of Andhra Pradesh Shri Kasu Brahmananda Reddy. Two days later, the first instructional sortie was flown at this Academy on Harvard Trainer aircraft. The first Graduation parade was held at Air Force Academy on 12 June 1971 with the passing out of 107th pilot course. Harvard Trainer aircraft which was a piston engine trainer made way for the Indian made turbojet ‘Kiran’ (HJT-16) trainer in 1973. The Ground Duty Officers training which was otherwise conducted at Air Force Administrative College, Coimbatore, was transferred to Air Force Academy from 56 th course in July 1974, and passed out in July 1975. 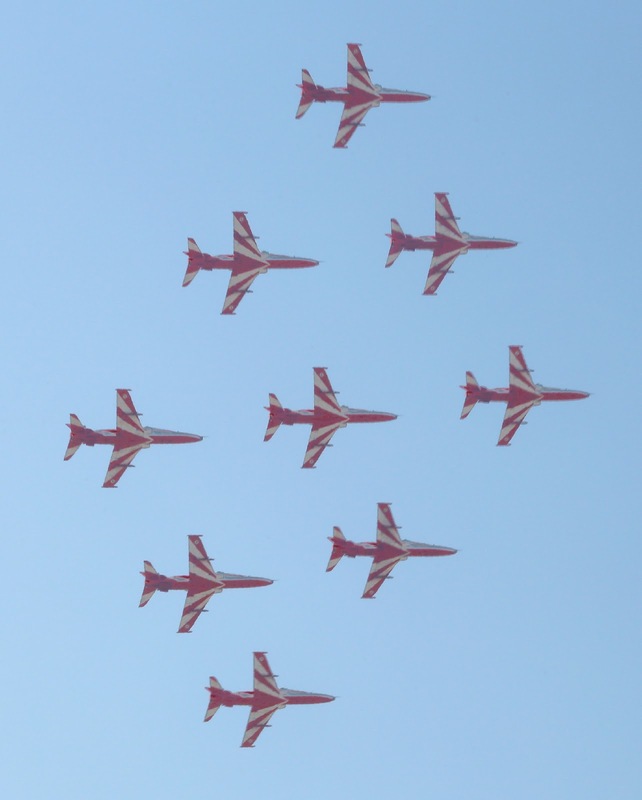 10 Sep 75 was a red letter day in the annals of Air Force Academy which had the proud privilege of being the first non-operational unit of the IAF to be conferred with the ‘Presidential Colours’ from Shri Fakruddin Ali Ahmed, the then President of India at a parade commanded by Air Commodore LM Katre, who later became the Chief of Air Staff. The initial flying training was commenced on HPT-32 aircraft in July 1985. 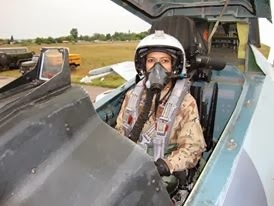 Other historical milestones include passing out of first batch of women Ground Duty Officers in June 1993 and first women Pilot Course in December 1994 from Air Force Academy. The first batch of women fighter pilots passed out from this Academy on 18 June 2016. 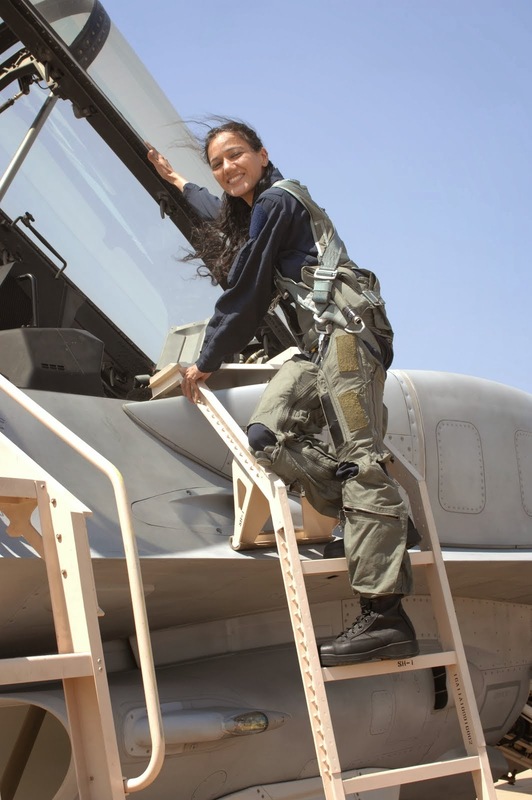 Indian Air Force as second batch of women fighter pilots will be inducted in this graduation parade after a period of one and a half year since the first batch was commissioned. 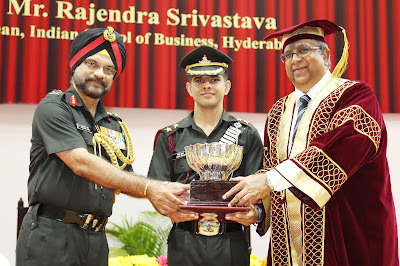 Shri Rajendra K Srivastava, Dean, Indian School of Business, Hyderabad conferred engineering degrees to 23 Officers of Degree Engineering (DE-98) including one officer from Maldivian Army and 42 Officers of Technical Entry Scheme Course (TES-28), in a smartly conducted Convocation Ceremony at Military College of Electronics and Mechanical Engineering (MCEME), Secunderabad. It was a rare honour and proud moment for the Technical Student Officers to receive their degrees and awards from the Dean, Indian School of Business, Hyderabad in presence of their families. Speaking on the occasion Shri Rajendra Srivastava said “Armed forces and Technology have been strategic partners in developing and enhancing defence capability of the nation. It is an accepted fact that, the armed forces need to operate at a higher technological level than the rest of the country to have an advantage over the adversary”. The impressive Ceremony was attended by a host of senior dignitaries from military and civil administration and an august gathering of more than 300 Service personnel and their families. 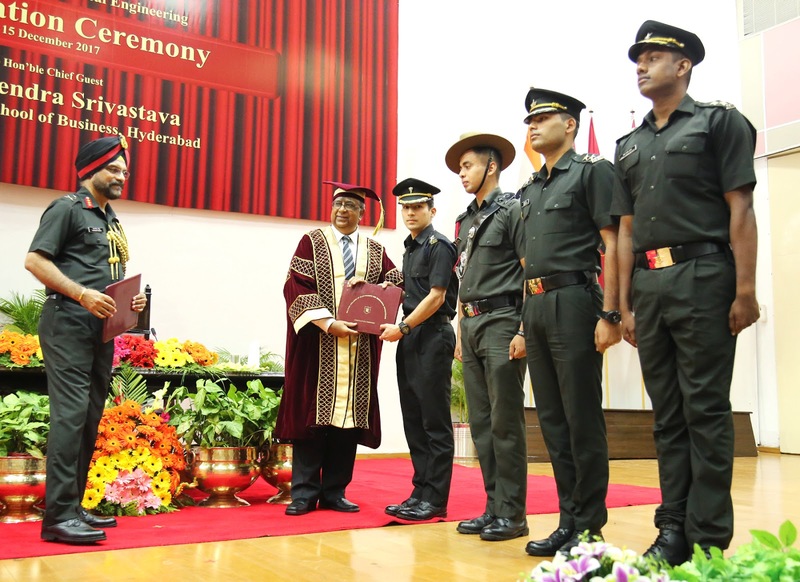 While delivering the inaugural address Commandant MCEME Lieutenant General Paramjit Singh said, “This Premier institution has not only excelled in the field of technology and training but has also left its indelible mark in the field of sports and Adventure activities”. 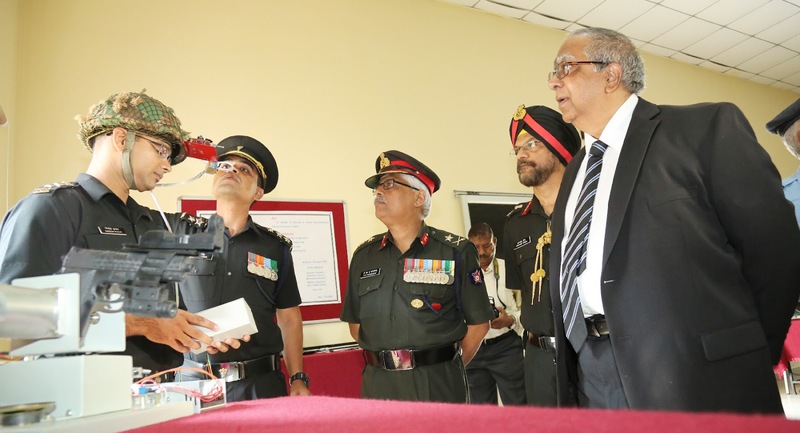 The graduating officers had to design & fabricate projects that met the requirements of the Field Army, as also to demonstrate their knowledge in futuristic technologies as part of their training curriculum. Major General TSA Narayanan, Deputy Commandant & Chief Instructor, MCEME said, “Mr Rajendra K Srivastava was highly impressed with the quality of student projects and he complimented the College for the same”. 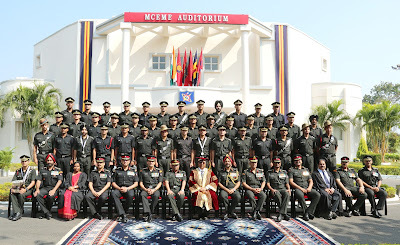 Military College of Electronics and Mechanical Engineering, Secunderabad was established in 1953. Over the years the College has developed into a premier training institution of the Indian Army. The training standards of the College have been recognised and College has been rewarded with Prime Minister’s Awards for various Students Projects and Director General of Civil Aviation accreditation for Type Training Establishment. The MCEME trains technical capital for providing sustainment and engineering support to the complete equipment of the Indian Army. 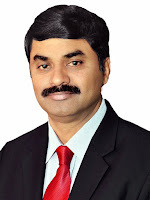 Dr G. Satheesh Reddy, Scientific Adviser to Raksha Mantri and Director General, Missiles and Strategic Systems has been conferred with the prestigious National Design Award for his significant national contributions towards indigenous design and development of diversified Missile Systems, Guided Weapons, Avionics technologies and for his sustained efforts leading to the advancement of Aerospace technologies & Industries in India. Dr Satheesh spearheads Dr APJ Abdul Kalam Missile Complex, “the Missiles hub of India,” steering the design and development of wide variety of tactical and strategic missile systems. 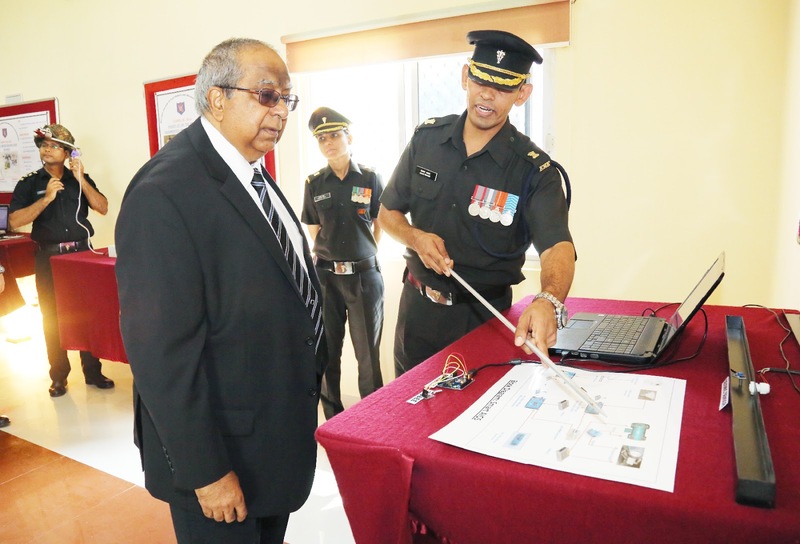 His contributions have left a lasting imprint on the technology map as well as on the defence preparedness of the country and paved the way for Self Sufficiency in Missile Systems and Technologies. Dr Satheesh has played a major role in indigenous design & development of state-of-the-art weapon systems, formulation of national policies, harnessing the research and innovation in industry, academia and R&D institutes. He will be receiving the Award during the Indian Engineering Congress on 21 Dec 2017 at Chennai. National Design Research Forum (NDRF) established by the Institution of Engineers (India), promotes Research, Design, Development, Productization and Innovation through collaborative effort since 1969. NDRF is anchoring inter-disciplinary technological research in many engineering disciplines including for societal applications, and plays a major role in deploying engineering and technology services, systems, and solutions for nation building. NDRF continues the tradition of identifying and recognizing outstanding contribution to engineering design through the National Design Awards since its inception. These activities and facilities of NDRF are open to industry, academia and research organizations for collaborative research and development. 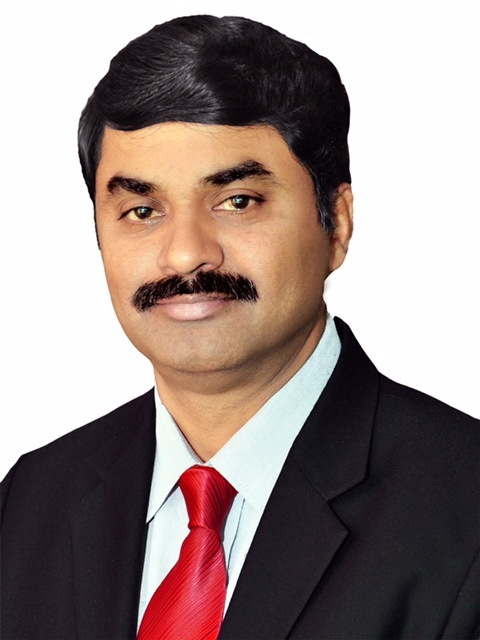 Dr G Satheesh Reddy, Scientific Advisor to Raksha Mantri and Director General (Missiles and Strategic Systems), DRDO is an Aerospace Scientist well renowned for his R&D in Missile Systems and sustained contributions towards advancement of Aerospace technologies & industries in India. Dr Satheesh graduated in Electronics and Communication Engineering from JNTU, Anantapur and pursued his MS and Doctorate from JNTU, Hyderabad. Dr Satheesh is globally renowned Navigation expert and is the only Scientist from India holding the distinction of being inducted as Fellow of Royal Institute of Navigation, London; Royal Aeronautical Society, UK. He is the first Indian Scientist to be honoured and inducted as a Foreign Member of the Academy of Navigation & Motion Control, Russia. He is an Honorary Fellow of Computer Society of India and Fellow of many other professional/scientific bodies in the country and abroad. For his pioneering contributions to Missiles and Aerospace technologies, he became the first ever Scientist from India to be conferred with the Silver Medal of Royal Aeronautical Society, London in the Society’s Awards history spanning over 100 years. Incidentally the first Gold Medal of the Royal Aeronautical Society, London was awarded to Orville and Wilbur Wright - the Wright Brothers way back in 1909. He is also a recipient of the National Aeronautical Prize, National Systems Gold Medal, Dr Biren Roy Space Science Design Award, Rocket Related technologies Award, Science Congress Lifetime Achievement Award and many other honours/recognitions. He has been conferred with Honorary Degrees of Doctor of Science from many leading Universities of the country.